REPORT OF A WAREHOUSE FIRE. ELMHURST TRUCK 1 MAIN TO THE ROOF. VICTIM'S VEHICLE ON SCENE WITH MULTIPLE BULLET HOLES. VICTIM WITH GSW TRANSPORTED BY CIVILIAN TO NEARBY HOSPITAL. INVESTIGATION FOR SHELL CASINGS ON THE EXPRESSWAY. FIRE UNDER CONTROL BY 8:41 AM. PRIMARY AND SECONDARY SEARCHES COMPLETE AND NEGATIVE BY 8:44 AM. REPORT OF A PEDESTRIAN HIT BY A CTA EL TRAIN. LARGE CROWD AT THE SCENE; VICTIM OBVIOUS DOA. POWER OFF IN BOTH DIRECTIONS FROM 50TH ST TO 79TH ST. SECONDARY HOLD CONFIRMED BY 12:33 PM. BC19 REPORTS A BONA FIDE INCIDENT AND REQUESTS SQD 5 CREW BRINGS THEIR CHAINS DOWN BY 12:35 PM. BC19 REQUESTS A SECOND AMBULANCE FOR THE CONDUCTOR AT 12:38 PM. EXTRICATING BUT NOT REMOVING THE VICTIM ABOUT 12:41 PM. SQD 5 WITH THE WEDGY. A38 ASSIGNED INSTEAD OF A49 BY 12:42. VICTIM IS READY FOR REMOVAL, BUT AWAITING COMPLETION OF CPD INVESTIGATION AT ABOUT 1:02 PM. A38 TRANSPORTING CONDUCTOR TO ST BARNARD HOSPITAL BY ABOUT 1:02 PM. BC19 REPORTS VICTIM REMOVED; COMPANIES WORKING ON DE-CON WORK AT THE SCENE. E35 CREW ON ARRIVAL REPORTS THEY'RE ON THE SCENE WITH A 1-1/2-STORY CONSTRUCTION AND THEY HAVE SMOKE AT 9:24 AM. BC7 REPORTS A 1-1/2-STORY ORDINARY, 25X50 WITH A FIRE IN THE BASEMENT, LINE LED OUT, MAIN TO THE ROOF, AND ALL COMPANIES WORKING BY 9:29 AM. LIGHT SMOKE IN THE ATTIC BY 9:31 AM. BC7 REPORTS A FIRE IN THE BASEMENT, ONE LINE ON THE FIRE, FIRE BEING BROUGHT UNDER CONTROL, MAIN TO THE ROOF, ROOF BEING OPENED, LADDERS ON SIDE A AND C BY 9:32 AM. BC7 REPORTS FIRE IS EXTINGUISHED; COMPANIES IN PROGRESS OF SALVAGE AND OVERHAUL BY 9:34 AM. BC7 REPORTS PRIMARY AND SECONDARY SEARCHES ARE COMPLETE AND NEGATIVE BASEMENT, FIRST AND SECOND FLOOR; FINAL SEARCHES IN PROGRESS BY 9:36 AM. TRUCK(S): T13 T ?? TL ?? REPORT OF A FUEL TANK LEAK. E82 CREW ON ARRIVAL REPORTS 100 GALLON FUEL TANK LEAKING FROM UNDER A PORCH. BC23 REPORTS THAT AN OLD HEATING OIL TANK IS LEAKING UNDER THE PORCH OF A ROW HOUSE THAT IS BEING USED AS A DAYCARE -- EVACUATING AS A PRECAUTION BY 7:58 AM. E69 ON ARRIVAL REPORTS THEY'RE AT THE ACCIDENT ON THE OUTBOUND KENNEDY JUST PAST LAWRENCE AT 3:25 PM. T13 IS WITH E69 ON THE KENNEDY BY 3:26 PM. REPORT OF A HOUSE FIRE -- POSSIBLY VACANT. ADDRESS CORRECTED TO 12835 S EMERALD AVE.
E115 CREW ON ARRIVAL REPORTS THEY'RE ON THE SCENE WITH A SINGLE-STORY BUNGALOW WITH A FIRE AT 8:53 PM. BC22 REPORTS A 1-STORY BRICK BUNGALOW, 25X50 WITH A FIRE IN THE BASEMENT AT 8:55 PM. BC22 REPORTS 2 LINES ON THE FIRE, PRIMARY SEARCH ON THE FIRST FLOOR, ALL COMPANIES WORKING AND GETTING THE ROOF OPEN BY ABOUT 9:05 PM. FIRE UNDER CONTROL, SECONDARY SEARCH BEGINNING, ROOF IS OPEN, ALL COMPANIES WORKING BY 9:13 PM. MABAS DIVISION 11 BOX ALARM ON BOX #INVESTIGATOR FOR A STRUCTURE FIRE (HOUSE FIRE). CRASH REPORTED TO BE ON THE NORTH SIDE OF THE STREET. BC23 ON ARRIVAL REPORTS A 4-STORY ORDINARY WITH A LITTLE SMOKE. BC23 REPORTS ONE LINE ON AN APARTMENT FIRE ON THE FIRST FLOOR, AERIAL GOING TO THE ROOF, PRIMARY SEARCH UNDERWAY AT 6:52 PM. BC23 REPORTS WASH DOWN UNDERWAY, SECONDARY SEARCH ON FIRST FLOOR, PRIMARY ON SECOND AND THIRD FLOORS AT 6:58 PM. BC23 HOLDING THE SQUAD AND COMMAND VAN; KEEPING THE RIGHT COMING IN AT 6:58 PM. BC23 REPORTS SECONDARY SEARCH COMPLETE AND NEGATIVE, AND PRIMARY SEARCH COMPLETE AND NEGATIVE ON SECOND AND THIRD FLOOR AT 7:02 PM. BC23 RETURNING RIGHT; BC23 REPORTS THEY'RE PICKING UP LINES. TL5 CREW ON ARRIVAL REPORTS NOTHING SHOWING; THEN REPORTS SMOKE IN THE BACK. BC4 REPORTS A 3-STORY ORDINARY, 25X75 WE'RE CHECKING IT OUT AT 3:25 PM. 271 UPDATES TO COACH HOUSE 25X40. RUBBISH FIRE ON A BACK PORCH. BC5 REPORTS A 2-STORY ORDINARY, 25X50 WITH A LITTLE RUBBISH FIRE ON THE BACK PORCH. CRASH WITH LIQUOR STORE AT CENTRAL RD AND WOLF RD. REPORT THAT WOMAN GOT OUT OF HER CAR ON HER OWN. CREW ON ARRIVAL REPORTS STORE WINDOWS SHATTERED; POSSIBLY NO STRUCTURAL DAMAGE. REPORT OF A PERSON'S HAND TRAPPED IN A MACHINE. PERSON'S HAND IS OUT OF THE MACHINE BY 4:21 PM. REPORT OF A ROLLOVER CRASH OFF OF ROLLINS RD ABOUT 1000 FEET WEST OF ROUTE 45. VEHICLE ON ITS ROOF ABOUT 50 FEET OFF ROADWAY JUST WEST OF MILLENIUM TRAIL UNDERPASS. REPORT OF A FEDEX TRUCK CRASH WITH A SCHOOL BUS WITH INJURIES. BC20 REPORTS THE CRASH IS NORTHBOUND CHESTNUT. WESTBOUND DEERFIELD RD BACKING UP AT 3:54 PM. BC20 REPORTS NO INJURIES ON THE SCENE BY 4:00 PM. REPORT OF AN AIRCRAFT OVERRUN OFF RUNWAY AT CHICAGO EXECUTIVE AIRPORT. AIRCRAFT CAME TO REST NEAR PALATINE RD. CONTROL TOWER IS REPORTING NO INJURIES, AND NO IMMEDIATE HAZARD BY 4:21 AM. CRASH TRUCK23 AT STAGING AT 4:25 AM. BC24 ON ARRIVAL REPORTS A PLANE OFF THE RUNWAY AT 4:28 AM. SOME COMPANIES RELEASED BY 4:35 AM. CRASH WITH INJURIES, PIN-IN AND VEHICLE FIRE. A TOTAL OF SEVEN VEHICLES INVOLVED. ONE EJECTION LANDED ON THE WINDSHIELD OF A WORK VAN. BC7 ON ARRIVAL REPORTS THEY HAVE A CAR ON FIRE IN A CRASH AND THEY NEED AN AMBULANCE AT 8:06 AM. BC7 REQUESTS A PIN-IN RESPONSE BY ABOUT 8:07 AM. BC7 REPORTS THE PATIENT IS REMOVED FROM THE VEHICLE -- HOLDING UP THE PIN-IN RESPONSE BY 8:09 AM. BC7 REPORTS TWO VEHICLES WERE ON FIRE (FIRE IS OUT) WITH PATIENT SUMMARY OF TEN TOTAL. TWO CHILDREN TRANSPORTED TO LEVEL I TRAUMA CENTER ADVOCATE LUTHERAN GENERAL HOSPITAL (BOTH LISTED SERIOUS-TO-CRITICAL CONDITION). ONE CHILD TRANSPORTED TO LEVEL I TRAUMA CENTER ADVOCATE LUTHERAN GENERAL HOSPITAL (LISTED FAIR-TO-SERIOUS CONDITION). THREE ADULTS TRANSPORTED TO LEVEL I TRAUMA CENTER ADVOCATE LUTHERAN GENERAL HOSPITAL (LISTED FAIR-TO-SERIOUS CONDITION). ONE ADULT TRANSPORTED TO LEVEL I TRAUMA CENTER ILLINOIS MASONIC MEDICAL CENTER (LISTED SERIOUS-TO-CRITICAL). TRUCK(S): T58 T ?? TL ?? EMS: A48 A ?? A ?? A ?? EMS: A ?? A?? FC ?? STANDBY A ?? BC62 CREW ON ARRIVAL REPORTS A CAR INTO A MOBILE HOME. BC61 REPORTS METER SHUT OFF BY 7:55 AM --CHECKING LEVELS, RETURNING EXTRA COMPANIES. CRASH WITH INJURIES. REPORT OF AT LEAST ONE PERSON INJURED. E26 CREW REPORTS TWO VEHICLES IN THE INTERSECTION WITH MODERATE DAMAGE AT 10:15 PM. REPORT OF VEHICLE CRASH WITH ENTRAPMENT. SECOND AMBULANCE REQUESTED AT 5:48 PM. TWO PEOPLE TRANSPORTED TO HOSPITAL(S). MABAS DIVISION 27 BOX ALARM ON BOX #77 FOR A DRYER FIRE. SUSPICIOUS FIRE AT A RURAL FARM PROPERTY. MABAS DIVISION 22 CHANGE OF QUARTERS BOX ALARM ON BOX #2909 FOR A STRUCTURE FIRE (HOUSE FIRE). BERKELEY AND LEYDEN TOWNSHIP MUTUAL AID. E110 CREW REQUESTS A PIN-IN RESPONSE 7:58 AM. VICTIM EXTRICATED BY 7:59 AM -- PIN-RESPONSE HELD UP. REPORT OF A DETACHED GARAGE FIRE AT A SINGLE FAMILY RESIDENCE. FIRE OUT BY 8:00 PM. FIRE KNOCKED, A LOT OF OVERHAUL AT 7:33 PM. BC51 REPORTS THE CRASH IS A HIT-AND-RUN AND AMBULANCE IS STAYING AT SCENE FOR PAPER WORK AT 2:48 PM. APPARENTLY MINOR OR NO INJURIES. REPORT OF SMOKE COMING FROM THE ROOF AFTER AN ELECTRICAL SURGE. CREW AFTER INVESTIGATION REPORTS THEY HAVE A FIRE BY 11:27 AM..
FIRE OUT, OVERHAUL BY 11:45 AM. REPORT OF SMOKE COMING OUT OF A HEATING VENT. CREW ON ARRIVAL REPORTS A 3-STORY MULTI-FAMILY WITH NOTHING SHOWING FROM THREE SIDES AT 12:50 PM. A51 REPORTS HEAVY SMOKE FROM THE D SIDE AT 12:54 PM. BC5 REPORTS HEAVY SMOKE SHOWING FROM THE FIRST FLOOR BOILER ROOM AT 12:56 PM. CHECKING FOR EXTENSION ON THE SECOD FLOOR AT 12:56 PM. INTERIOR CREW REPORTS NO EXTENSION AT 12:58 PM. BC5 REPORTS THEY HAD A FIRE IN THE BOILER ROOM IN THE ELECTRICAL PANEL. THE FIRE APPEARS TO BE OUT BY ABOUT 1:05 PM. CRASH WITH INJURIES WITH ILLINOIS STATE POLICE CAR OUTBOUND KENNEDY EXPRESSWAY ABOVE DAMEN AVE. CREWS ENTERING EXPRESSWAY AT DAMEN AVE.
STATE TROOPER REAR-ENDED DURING TRAFFIC STOP. TROOPER REPORTED HE WAS NOT IN HIS CAR WHEN THE TROOPER'S CAR WAS HIT. THREE VEHICLES INVOLVED IN THE CRASH -- INCLUDING THE VEHICLE THE TROOPER HAD STOPPED. ILLINOIS STATE POLICE INITIALLY REPORTED THE DRIVER HAD NO PULSE AFTER HITTING ISP CAR, BUT WAS THEN REPORTED TO BE CONSCIOUS. DRIVER REPORTED TO BE UNCONSCIOUS. T28 CREW REQUESTS A PIN-IN RESPONSE AT 2:24 AM. T28 CREW HOLDS UP THE PIN-IN RESPONSE AT 2:26 AM. CARS PULLED APART ABOUT 2:45 AM. FEMELA, AGE 28, TRANSPORTED TO LEVEL I TRAUMA CENTER ILLINOIS MASONIC MEDICAL CENTER. FEMALE CHARGED ON SUSPICION OF DUI. THE DRIVER OF THE STOPPED CAR MAY ALSO HAVE BEEN TRANSPORTED TO A LOCAL HOSPITAL -- NOT CONFIRMED. REPORT OF A STUDENT AT UNIVERSITY OF CHICAGO CAMPUS THREATENING TO JUMP FROM THE 7TH FLOOR. PERSON SECURED IN AN INSIDE STAIRWELL BY 3:07 AM -- BC23 HOLDING UP THE "THREATENING TO JUMP RESPONSE" AND KEEPING ONE AMBULANCE. CRASH IN THE INTERSECTION IN THE WESTBOUND LANES WITH INJURIES. CRASH INVOLVES A SILVER VW AND A BLACK HONDA. SECOND AMBULANCE REQUESTED BY E12 CREW AT 6:34 PM. BC18 REPORTS A 2-STORY ORDINARY, 25X40 WITH A FIRE ON THE FIRST FLOOR. BC18 REPORTS ONE LINE ON THE FIRE, MAIN TO THE ROOF, GROUND LADDER TO SECTOR C, AND ALL COMPANIES ARE WORKING BY 7:30 PM. WORKING FIRE ON THE SECOND FLOOR AND ATTIC OF A 2-STORY FRAME HOUSE. MABAS DIVISION 25 BOX ALARM ON BOX #622 FOR A STRUCTURE FIRE (HOUSE FIRE). FOREST PARK MUTUAL AID AMBULANCE. ROSELLE FIREFIGHTERS RESPONDED TO WB I-390 AT MM 9.5. POLICE REPORT ONE PERSON IN THE VEHICLE ON ARRIVAL. T53 CREW ON ARRIVAL REPORTS ENTRAPMENT WITH VEHICLE UPRIGHT ON ARRIVAL AT 12:50 AM. T53 CREW REPORTS ONE PERSON DEAD AT THE SCENE AT 12:50 AM. SKOKIE A17 ENROUTE BEFORE EMS BOX ALARM. REPORT OF AN AIRCRAFT OFF THE RUNWAY OR TAXIWAY. NOSE GEAR IS IN THE GRASS. AIRCRAFT IS STILL POWERED UP AT 12:20 PM. CRASH WITH INJURIES IN THE INTERSECTION INVOLVING A GRAY SUV AND A LIGHT BOX TRUCK. T22 CREW ON ARRIVAL REPORTS SMOKE SHOWING AT 11:05 AM. PIN-IN CRASH WITH INJURIES. HIT-AND-RUN TOYOTA, MALE DRIVER WITH GLASSES LAST SEEN INBOUND EXITING AT LAWRENCE. E11 CREW ON ARRIVAL REPORTS A PIN-IN CRASH WITH A LOT OF DEBRIS ON THE EXPRESSWAY AT 10:22 AM. HOLDING UP EXTRA EXTRICATION CREWS. SECOND AMBULANCE REQUESTED BY 453. INBOUND EISENHOWER EXPRESSWAY BACKED UP TO CANFIELD AVE AT 10:30 AM. T9 ACCOMPANYING A39 TO LEVEL I TRAUMA CENTER ADVOCATE LUTHERAN GENERAL HOSPITAL. A39 TRANSPORTED ONE PATIENT CODE RED TO LEVEL I TRAUMA CENTER ADVOCATE LUTHERAN GENERAL HOSPITAL. A46 TRANSPORTED ONE PATIENT CODE YELLOW TO RESURRECTION HOSPITAL. BC16 REPORTS A TOTAL OF 4 PATIENTS WITH TWO PATIENTS PINNED IN WITH T31 CREW WORKING EXTRICATION TOOLS AND E127 WITH A STANDBY LINE AT 7:10 AM. BC16 REPORTS VICTIMS HAVE BEEN EXTRICATED. A27 TRANSPORTED ONE PATIENT CODE TO LEVEL I TRAUMA CENTER ADVOCATE CHRIST MEDICAL CENTER BY 7:20 AM. A75 TRANSPORTED ONE PATIENT CODE RED TO LEVEL I TRAUMA CENTER ADVOCATE CHRIST MEDICAL CENTER 7:20 AM. A54 TRANSPORTED TWO PATIENTS CODE YELLOW TO HOLY CROSS 7:20 AM. CRASH WITH INJURIES ON ILLINOIS RD SOUTH OF LAKE AVE.
E129 CREW ON ARRIVAL REPORTS A 2-STORY ORDINARY WITH A FIRE IN THE REAR. BC19 REPORTS FIRE IS OUT, WASHING DOWN, PRIMARY AND SECONDARY SEARCHES NEGATIVE BY 6:13 AM. BC19 HOLDS UP THE SQUAD AND COMMAND VAN, LET RIT COME IN, RELEASE STANDBY AMBULANCE, AND KEEP THE RIT AMBULANCE AT 6:13 AM. REPORT OF A CRASH WITH INJURIES. ILLINOIS STATE POLICE REPORTS NO INJURIES -- CFD UNITS HELD UP. CRASH WAS ACTUALLY WEST OF CICERO AVE.
MABAS DIVISION 18 BOX ALARM ON BOX #13 FOR A STRUCTURE FIRE (CHIMNEY FIRE). CREW ON ARRIVAL REPORTS SMOKE SHOWING FROM THE ALPHA SIDE. BC12 REPORTS SMOKE SHOWING ON ARRIVAL. REPORT OF A KITHEN FIRE. E39 CREW ON ARRIVAL REPORTS LIGHT SMOKE SHOWING. BURNT FOOD OR SMALL KITCHEN FIRE NO EXTENSION. CRASH WITH INJURIES AND ENTRAPMENT. POWER OUTAGES OR FLUCTUATION IN THE AREA. REPORT OF A CRASH INVOLVING A SCHOOL BUS AND A MITSUBISHI WITH 5 STUDENTS ABOARD THE BUS. CALLER REPORTS NO OBVIOUS INJURIES AMONG THE STUDENTS BY 3:43 PM. MABAS DIVISION 4 EMS BOX ALARM 3RD LEVEL ON BOX #1299 FOR A SCHOOL BUS CRASH. AMBULANCES ONLY ASSIGNED FOR THE EMS BOX ALARM. THE EMS BOX ALARM WAS STRUCK OUT AT 3:38 P.M. WITH ALL INCOMING AMBULANCES EN ROUTE ALLOWED TO RETURN. WINTHROP HARBOR PARAMEDICS TRANSPORTING TWO PATIENTS CODE GREEN TO VISTA EAST BY 3:44 PM. BEACH PARK AMBULANCE TRANSPORTING TWO PATIENTS BY 3:46 PM. PLEASANT PRAIRIE AMBULANCE TRANSPORTING ONE PATIENT TO VISTA EAST BY 3:49 PM. MABAS 24 & 27 ADVISORS DUE. CREW ON ARRIVAL REPORTS THEY HAVE NOTHING SHOWING AT 2:31 PM. BC12 HOLDS THE WORKING FIRE RESPONSE; FIRE INVOLVING CABINETS EXTINGUISHED WITH HAND PUMPS BY 2:38 PM. CRASH WITH INJURIES -- AUTO INTO A BUILDING. E109 CREW ON ARRIVAL REPORTS A COUPLE OF CARS INTO THE BUILDING..
SQD1 RETURNED BY E109 CREW AT 1:48 PM. CRASH WITH INJURIES ON THE DIVERSEY OFFRAMP ON THE KENNEDY -- WESTBOUND. ROLLOVER SEMITRAILER TRUCK CRASH WITH INJURIES. CRASH IS ON THE NORTH SIDE OF I-80 NEAR THE ONRAMP FROM RIDGE RD TO WESTBOUND I-90. E3 CREW ON ARRIVAL REPORTS THEY ARE INVESTIGATING. SQD1 CREW CONNECTING THE HYDRANT. MABAS DIVISION 7 BOX ALARM ON BOX # FOR A STRUCTURE FIRE (HOUSE FIRE). REPORT OF A PERSON TRAPPED IN A BUCKET THAT WENT THROUGH A FRONT WINDOW OF A CRANE CONTROL POD. FIREFIGHTERS WORKED TO REMOVE GLASS AND A DOOR FRAME FROM WORKER BY 10:22 AM. PERSON IS RELEASE FROM THE BUCKET AND VEHICLE BY ABOUT 10:23 AM -- SPECIAL OPS 5-1-5 RETURNED. 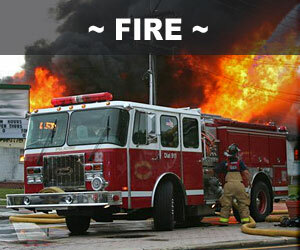 REPORT OF A FIRE IN AN AUTO BODY SHOP. BC14 IN A CRASH ON THE WAY TO THIS FIRE CALL. E99 CREW ON ARRIVAL REPORTS SMOKE SHOWING FROM A SINGLE-STORY AUTO BODY SHOP AT 10:08 AM. BC18 REPORTS THE FIRE IS OUT; COMPANIES DOING OVERHAUL BY 10:13 AM. REPORT OF A CRASH WITH INJURIES ON NB ROUTE 41 AT ROUTE 60. CRASH ON NORTHBOUND SKOKIE HIGHWAY (US 41) ON A CURVE NEAR KENNEDY RD (IL 60). BC42 ON ARRIVAL REPORTS MULTIPLE CARS INVOLVED -- SOME WITH HEAVY DAMAGE BY 9:09 AM. SECOND AMBULANCE REQUESTED BY 9:19 AM. REPORT OF A DRYER FIRE. E213 CREW ON ARRIVAL REPORTS NOTHING SHOWING. FIRE OUT; WORKING OVERHAUL BY 8:58 AM. REPORT OF A COMMERCIAL FIRE. SMALL FIRE AT AN AUTOMOTIVE BUSINESS. 2480 ON ARRIVAL REPORTS SMOKE SHOWING. 2480 INVESTIGATING AFTER COMPANIES PICKED UP. E78 CREW ON ARRIVAL REPORTS NOTHING SHOWING AT 6:47 PM. BC9 REPORTS A 3-STORY ORDINARY COURTYARD BUILDING, 125X75, LOOKS LIKE A FIRE IN THE FIRST FLOOR AT 6:55 PM. BC9 REPORTS WATER ON THE FIRE AND PRIMARY SEARCH UNDERWAY BY 6:57 PM. PRIMARY SEARCH NEGATIVE, SECONDARY SEARCH UNDERWAY, CHECKING FOR EXTENSION ON THE UPPER FLOORS BY 7:07 PM. BC9 REPORTS SECONDARY SEARCH IS COMPLETE AND NEGATIVE BY 7:12 PM. REPORT OF AN ACTIVATED FIRE ALARM/SPRINKLER SYSTEM WATER FLOW. POSSIBLE SPRINKLER HEAD OFF ON THE THIRD FLOOR -- CLEANING UP. A52 ON ARRIVAL REPORTS 3 CARS WITH MINOR TO MODERATE DAMAGE. CREW REQUESTING A SECOND AMBULANCE AT 5:54 PM. REPORT OF A PEDESTRIAN HIT BY A CAR WITH SERIOUS INJURIES, AND NOT BREATHING. MABAS DIVISION 6 BOX ALARM ON BOX #4102 FOR A STRUCTURE FIRE (RURAL FARM PROPERTY). CORTLAND, ELBURN, SYCAMORE INITIALL DUE MUTUAL AID OR AUTO AID. MABAS DIVISION 2 BOX ALARM ON BOX #2-225 FOR A CHLOROFORM SPILL. POSSIBLE COMBINATION HAZMAT AND EMS; EMPHASIS APPEARS TO BE ON EMS. COMMAND REQUESTS TO KEEP AMBULANCES AND CHANGE OF QUARTERS COMPANIES COMING, BUT RETURN ALL OTHER COMPANIES AT 11:32 AM. LISTED AS "DENTAL CARE OF SOUTH ELGIN" AT 342 RANDALL RD. REPORT OF A CRASH WITH ENTRAPMENT AND INJURIES AND AT LEAST ONE PERSON UNCONSCIOUS,. CREW ON ARRIVAL REPORTS HEAVY DAMAGE, SEMI VS SUV WITH ENTRAPMENT. ADDITIONAL AMBULANCE REQUESTED AT 11:16 AM. CHANGE OF QUARTERS AMBULANCE REQUESTED TO STATION 1 AT 11:17 AM. AUTOMATIC FIRE ALARM AT 11:39 AM. FIRE FROM TORCH BEING USED TO ATTEMPT TO THAW PIPES. E9 CREW ON ARRIVAL REPORTS A FIRE -- NOT A BROKEN SPRINKLER HEAD AT ABOUT 11:46 AM. POLICE REPORTING A FIRE IN THE BACK AREA AT 11:48 AM. E9 CREW REPORTING THEY CAN HANDLE WITH TANK WATER, BUT NEED A INFRARED CAMERA BECAUSE THERE CAMERA IS NOT WORKING AT 11:50 AM. FIRE OUT BY 12:02 PM. COMPANIES PICKED UP BY 1:07 PM. Prospect Heights house fire on Kenilworth Avenue just west of Elm Street. BC9 REPORTS HEAVY SMOKE IN THE AREA AT 12:45 PM. BC9 ON ARRIVAL REPORTS THEY HAVE A WORKING FIRE. TANKERS ASSIGNED TO COME IN FROM SCHOENBECK RD. ONE PET REMOVED AND CPR PERFORMED WITH O2 ADMINISTERED ON FRONT BUMPER OF SQD9, BUT UNFORTUNATELY THE PET PERISHED. ROOF VENTILATED AND HORIZONTAL VENTILATION. SEAT OF FIRE APPEARED TO BE NEAR A BREEZEWAY AND GARAGE. REPORT OF A HOUSE FIRE NEXT TO A CHURCH. CREW ON ARRIVAL REPORTS SMOKE SHOWING ON THE SECOND FLOOR. E84 HAS ONE LINE ON THE FIRE. LINE ON THE FIRE, ALL SEARCHES ARE NEGATIVE. MABAS DIVISION 5 BOX ALARM 2ND LEVEL ON BOX #341 FOR A STRUCTURE FIRE (TOWNHOUSE FIRE). BOX ALARM STRUCK OUT AT 5:41 PM. STAGING AT CRYSTAL LAKE FIRE STATION 3. REPORT OF A PERSON IN THE WATER AT THE LAKEFRONT JUST NORTH OF DIVISION. REPORT THAT AN ELDERLY MALE TOOK HIS COAT OFF AN WENT IN THE WATER. UPDATE THAT HE MIGHT HAVE GOTTEN OUT OF THE WATER AT ABOUT OAK STREET. BC1 REPORTS HE MIGHT BE PUTTING HIS CLOTHES BACK ON AT ABOUT 2:24 PM. BC1 REPORTS A CITIZEN WENT FOR A DIP AND IS OUT OF THE WATER NOW -- AT ABOUT 2:26 PM. A11 PARAMEDICS ARE EVALUATING THE MAN IN THE AMBULANCE BY ABOUT 2:26 PM. 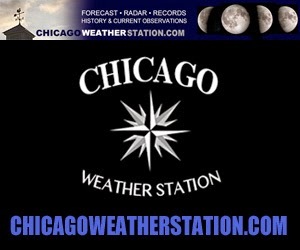 AIR TEMPERATURE AT O'HARE AT 1:51 PM WAS 4°F (WIND CHILL -16°F) WITH WIND NW AT 18 MPH GUSTING TO 28 MPH. HELICOPTER 6-8-2 GOING FOR FUEL AT MIDWAY. REPORT OF A FIRE IN A PUBLIC STORAGE FACILITY. E78 CREW ON ARRIVAL REPORTS A 6-STORY STORAGE FACILITY WITH NOTHING SHOWING AT 8:21 AM. T22 AND E78 CREW ON ARRIVAL REPORTS THEY ARE ON SIDE B.
BC12 REPORTS COMED IS NEEDED ASAP BECAUSE IT LOOKS LIKE THEY HAVE AN ELECTRICAL FIRE, AND THEY NEED ELECTRICITY SHUT DOWN BEFORE THEY CAN PUT WATER ON THE FIRE AT 8:25 AM. BC12 REPORTS A 6-STORY TRUSS ROOF, 100X100 ADDITION TO THE STORAGE FACILITY AT 8:29 AM. BC12 REPORTS THEY HAVE WATER ON THE LOWER PART OF THE FIRE, BUT THAT THEY HAVE AN ELECTRICAL FIRE IN THE CEILING AT 8:29 AM. BC12 REPORTS CREWS WERE ABLE TO SHUT DOWN THE ELECTRICAL PANEL AND THAT THE FIRE IS UNDER CONTROL AT 8:32 AM. REPORT OF A VACANT FARMHOUSE ON FIRE AT THE END OF DONALD DRIVE THAT IS FULLY-ENGULFED WITH FLAMES. CREW ON ARRIVAL REPORTS FULLY-INVOLVED HOUSE FIRE. EMS: A954 FOX RIVER GROVE A657, RUTLAND DUNDEE A52, A ?? EMS PLAN 1 AT 3:54 AM. A48 2 PATIENTS CODE GREEN TO ST MARY. A44 TRANSPORTED ONE PATIENT CODE YELLOW TO NORWEGIAN. A3 TRANSPORTED ONE PATIENT CODE RED TO LEVEL I TRAUMA CENTER ILLINOIS MASONIC.